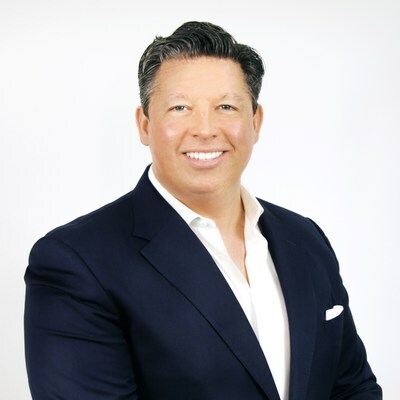 LONDON, April 4, 2019 /PRNewswire/ -- FintechOS, a high-tech company specialized in accelerating the digital transformation of financial industry, today announces that Leon Stevens has joined the company on March 4th as Chief Revenue Officer, to globally lead the customer facing operation. Stevens brings 25 years of senior experience in the software and services industry during which he successfully led and built sales teams with blue chip companies such as Salesforce.com, IBM, HP and Symantec. Recently, Leon Stevens was Chief Revenue Officer for Workbooks, a cloud-based CRM and Marketing Automation platform targeting mid-market segments. Previous to that, Stevens was Global Vice President (VP) and Business Leader for BMC Software's Remedyforce cloud operation, but also Senior VP and Global General Manager at Thunderhead running Sales, Marketing and Services. As the company expanded, he ran the global field operation. Earlier in his career, Stevens was Vice President at Salesforce.com, with leadership roles in the UK and EMEA. Stevens holds a BSc Honours in Computer Science and Masters Degree in AI with Engineering and Business Applications. "We have found in Leon a deep understanding of cutting-edge technologies that disrupt mature financial markets today, but also a high level of expertise in how to lead and achieve tangible results in complex teams. This is a rare mix that I expect to bring more focus and clarity to the FintechOS global expansion strategy," says Teodor Blidăruş, CEO FintechOS. FintechOS is a high-tech company delivering a technology-as-a-service platform for banks, insurance companies or enterprise financial service organisations who need to accelerate innovation, drive growth and retain customers through digital transformation processes. With EUR 10 Billion managed assets portfolio and constantly ranked among the most important fintech players, FintechOS is trusted by Tier 1 Banks and top Insurance companies for its go to market solutions based on innovative customer centric products.